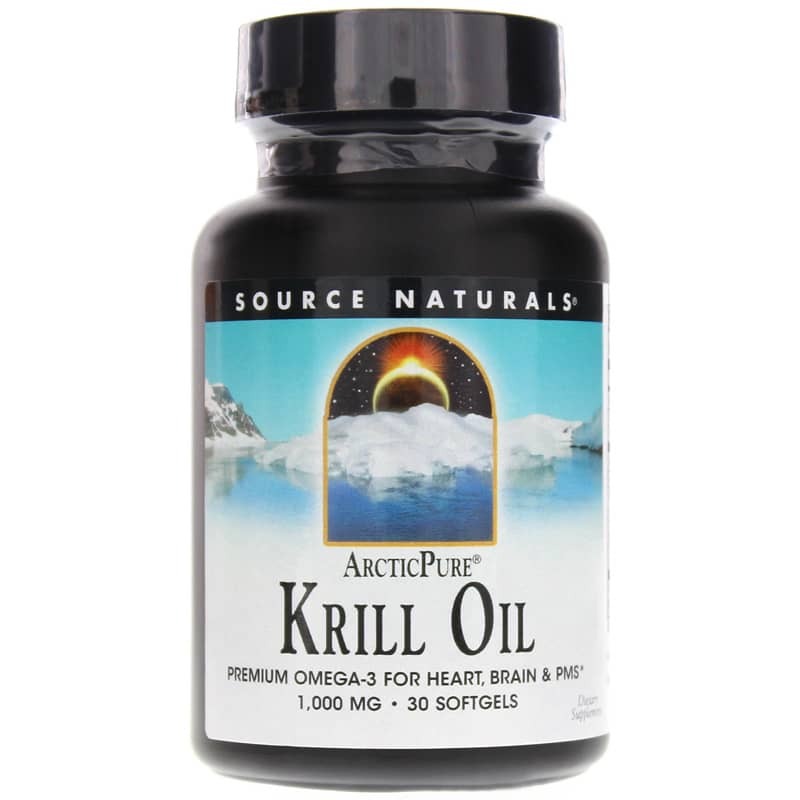 Get natural support for your heart, brain, joint and more with ArcticPure Krill Oil from Source Naturals. 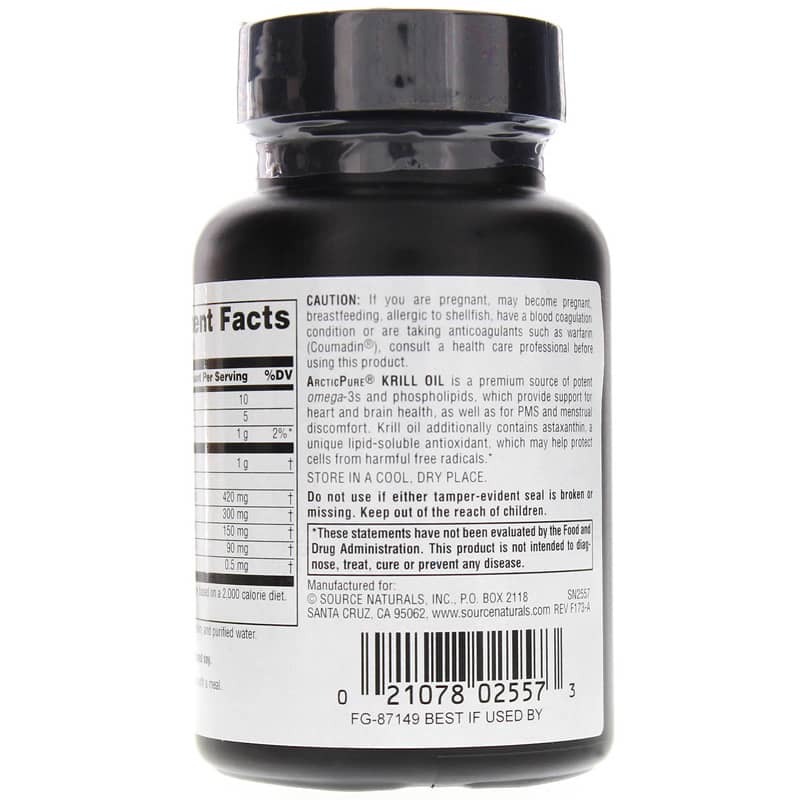 ArcticPure Krill Oil is a high-quality, 1000 mg krill oil supplement that provides essential fatty acids and naturally occurring nutrients for support throughout the body. 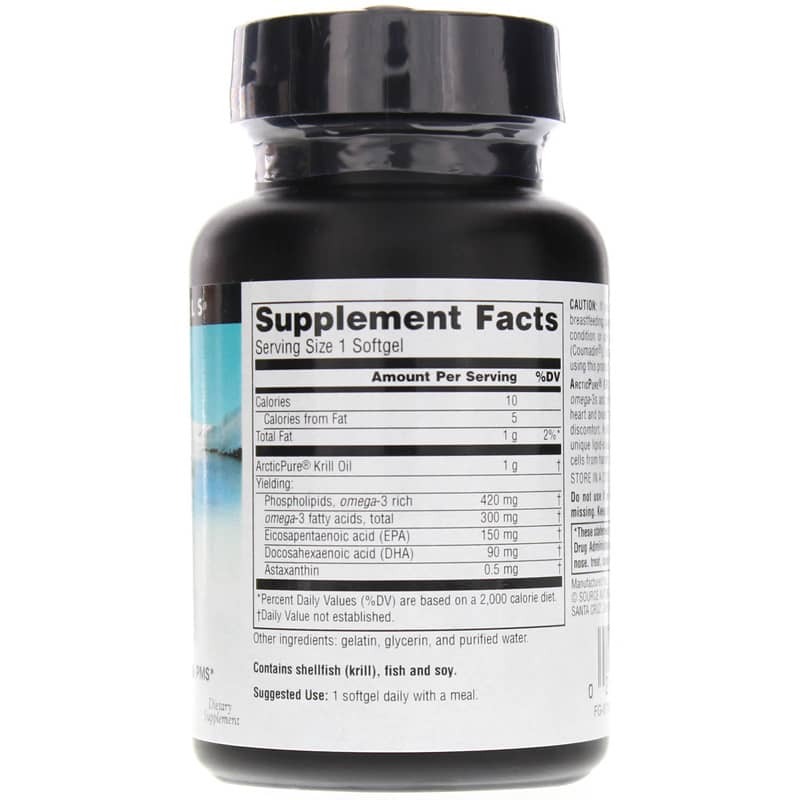 Krill oil is a natural source of omega 3 fatty acids and phospholipids. These omega 3 fatty acids include health-supporting EPA and DHA attached to phospholipids, which are the primary building blocks of cell membranes and are therefore essential to cell health. Together, EPA and DHA can support heart, brain, joint and immunity health in addition to much more, including providing relief from PMS symptoms. DHA is particularly supportive of neurons and neurological transmitters in the brain, and EPA influences chemical mediators that regulate the cardiovascular system. In addition, krill oil is a natural source of the antioxidant Astaxanthin and vitamin A, which may both help protect cells, eyesight, joints and immunity. Get essential fatty acids and more for support of the whole body. Order ArcticPure Krill Oil today. Adults: 1 softgel daily with a meal.